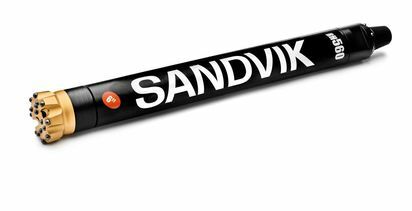 The new Sandvik DS422i, which is built on the same platform as the Sandvik DD422i, is engineered for intelligent rock reinforcement. Ground support is a quality-focused, statistics-driven and operations-critical process in a mine. The common denominator, which almost all cable bolter users share, is a desire for information: exactly how and where bolts were installed, how much grout was pumped, the mixing ratio of the grout used and other key details of the mechanised bolt install process. 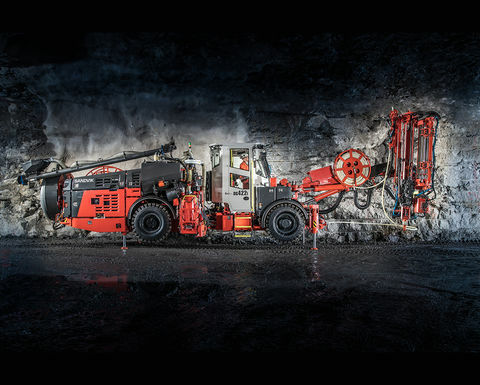 Sandvik DS422i can provide this information, store it and pass it on to a mine's systems for analysis through its intelligent control system and connectivity. Anssi Kouhia, product manager for Sandvik DS422i, commented: "Our customers are constantly asking us for solutions giving them documented ‘as planned' and ‘as installed' data from the bolting process. "Handling hole location information has long been in practice for both development and production drilling, but not yet properly utilised in bolting. Our latest intelligent product brings the potential of data integration to our customers." Petri Mannonen, product manager for Optimine products, added: "Efficient task management with regards to bolter operation is usually more complex to achieve compared to other drill and blast cycle operations. "In addition to managing that the machine has a free heading to operate in, the bolter also has to manage the replenishment of concrete and other consumables. Our Optimine task management package provides great advances in this respect through two-way communication with the task management system." 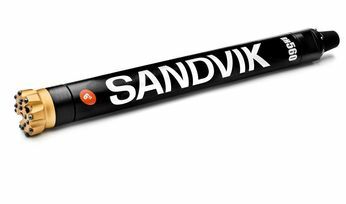 According to the OEM, the new Sandvik RD414 rock drill provides a 30% higher penetration rate and a longer shank and drill steel life through its advanced rock drilling technology. 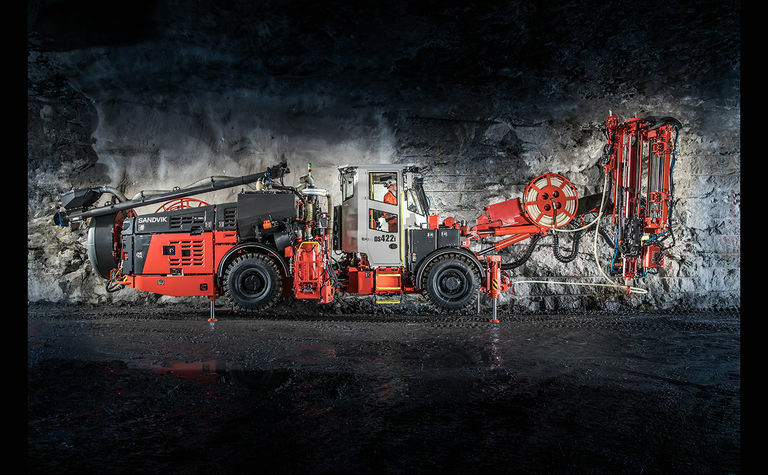 Key value adding features of Sandvik DS422i also include automatic rod handling, a quiet and ergonomic cabin, and Sandvik intelligent controls and automation with both operator assistive and automated functions.